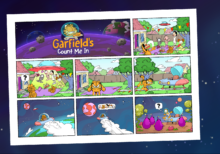 With Garfield’s Count Me In primary school children can practice their math skills both at home and in the class room. 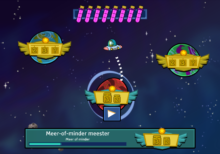 The game comes with a fully-integrated dashboard through which teachers and parents can both monitor individual and overall progress, and learn which exercises would benefit their children or students the most. 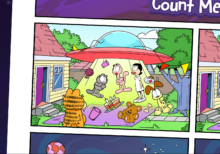 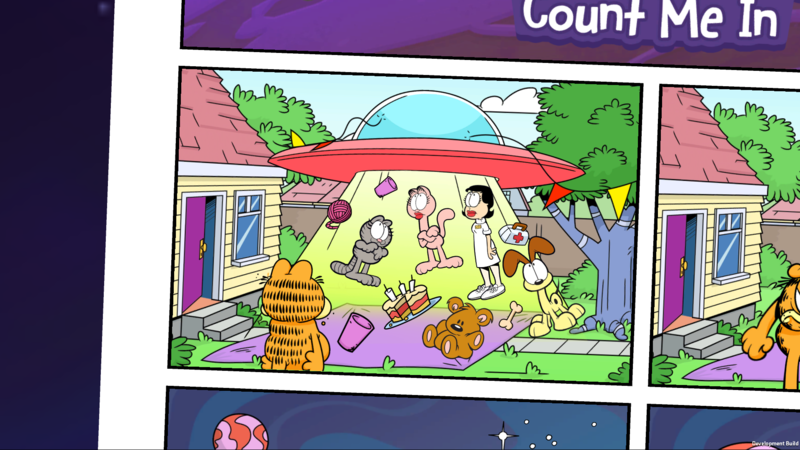 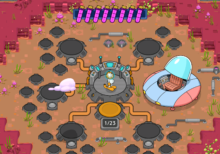 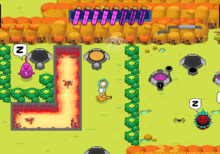 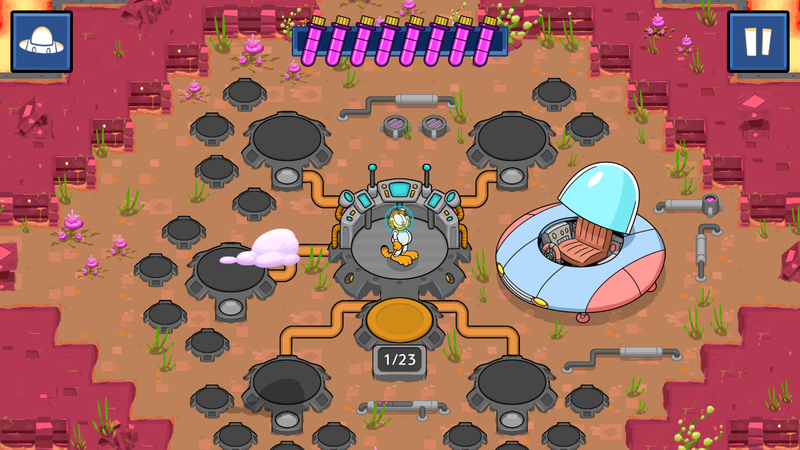 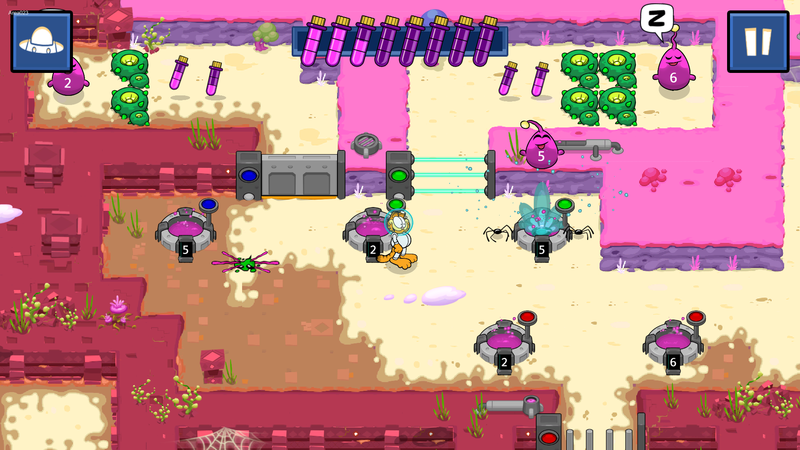 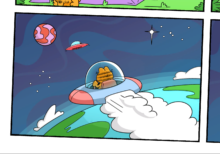 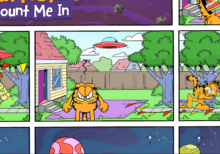 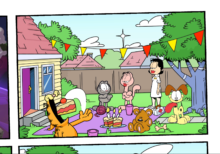 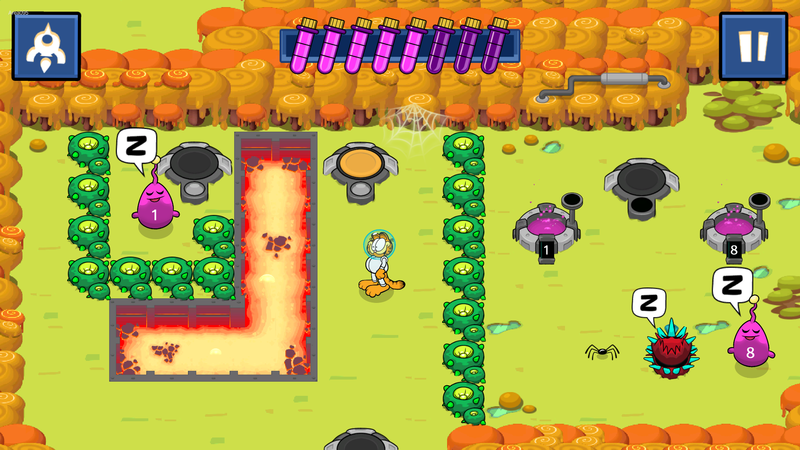 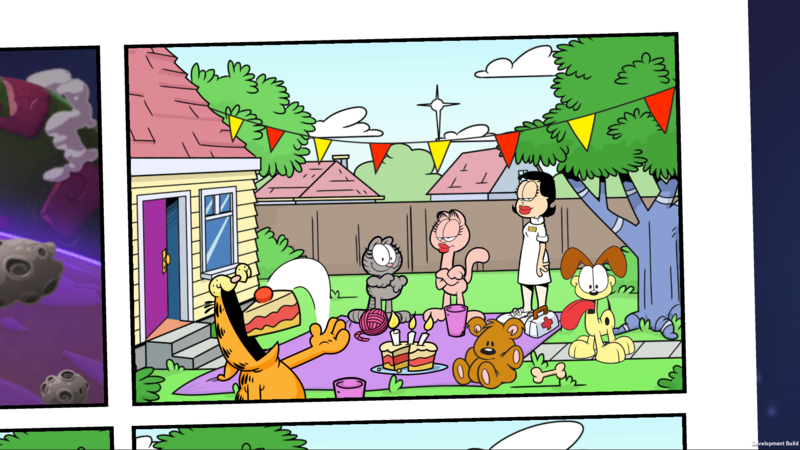 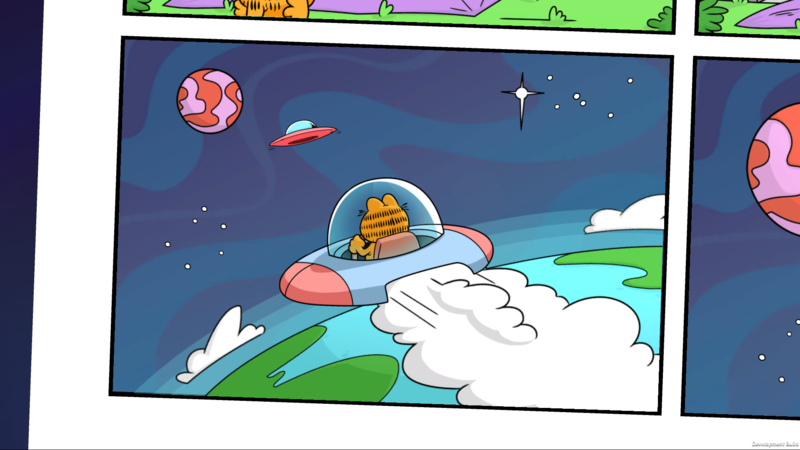 At the start of the game, Garfield’s birthday party is unexpectedly cut short when all his friends are abducted by aliens. 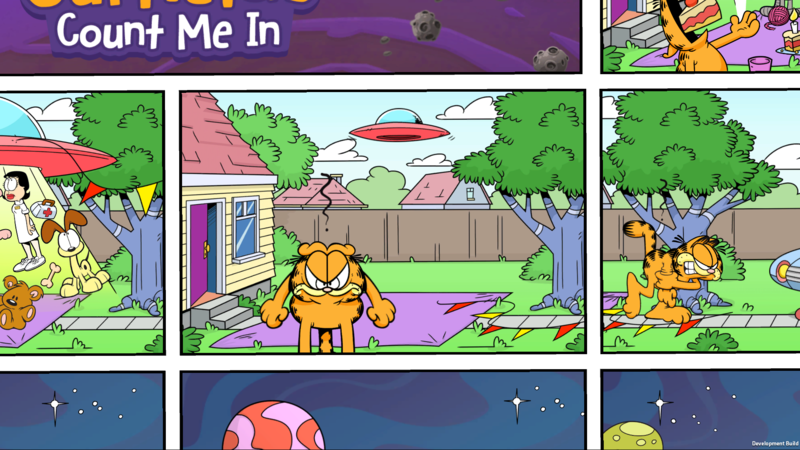 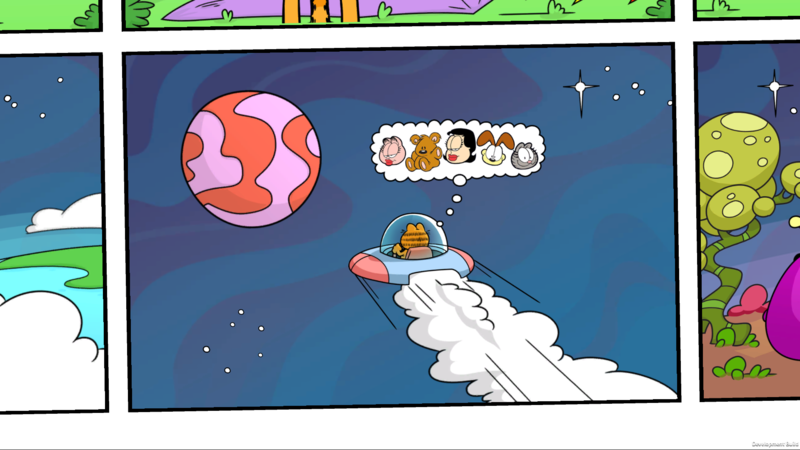 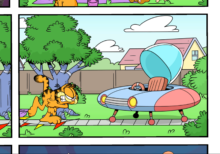 Garfield chases them in his own spaceship of course: his friends are his to torment! 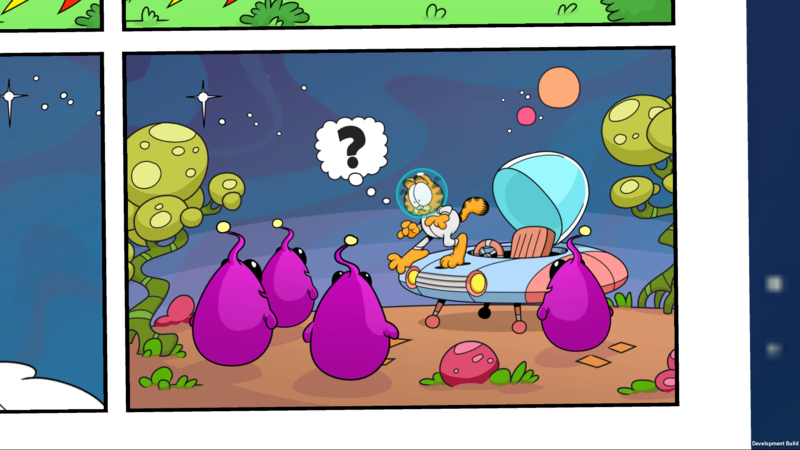 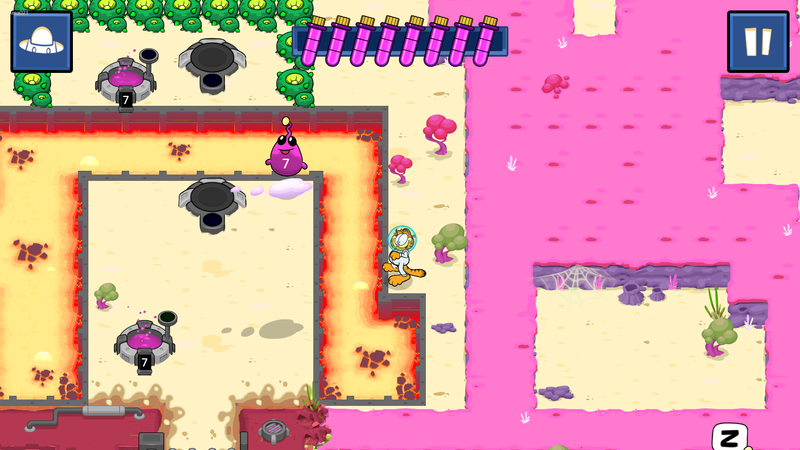 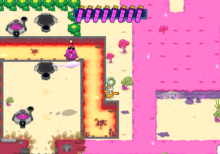 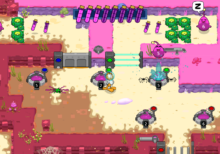 Upon arriving at the alien planet, Garfield soon finds himself surrounded by curious little purple creatures who all wear numbers on their bellies. 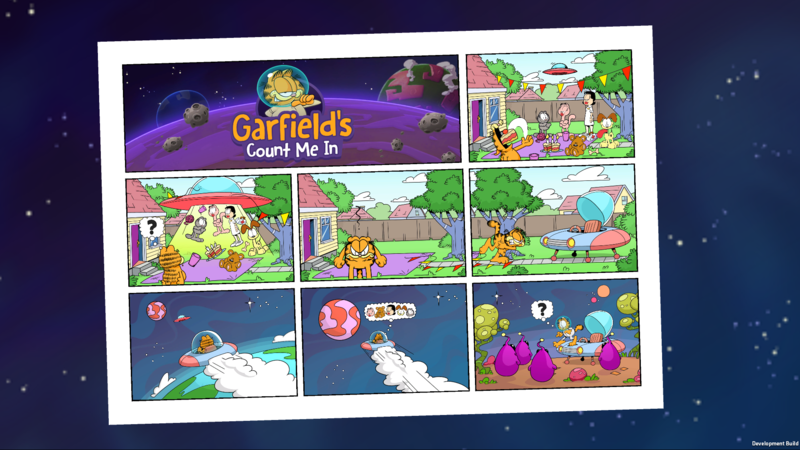 By cleverly using these creatures, Garfield can solve the diverse (mathematical) challenges and explore the planet’s bizarre surrounding. 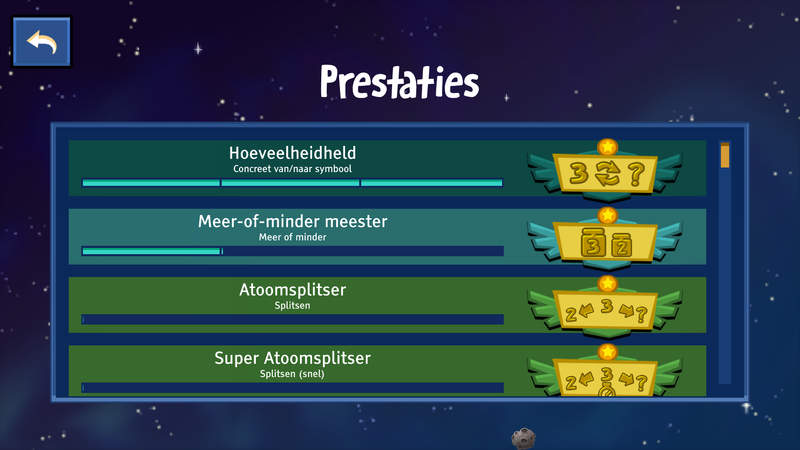 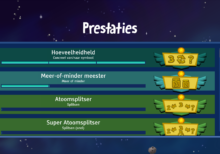 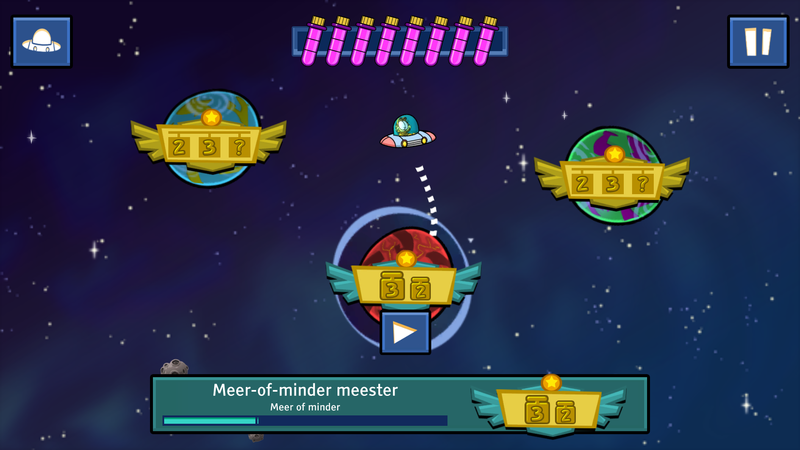 The algorithm which dynamically generates the game’s challenges, is based on the true-and-tested methodology by Wolter Danhof and Piet Bandstra. 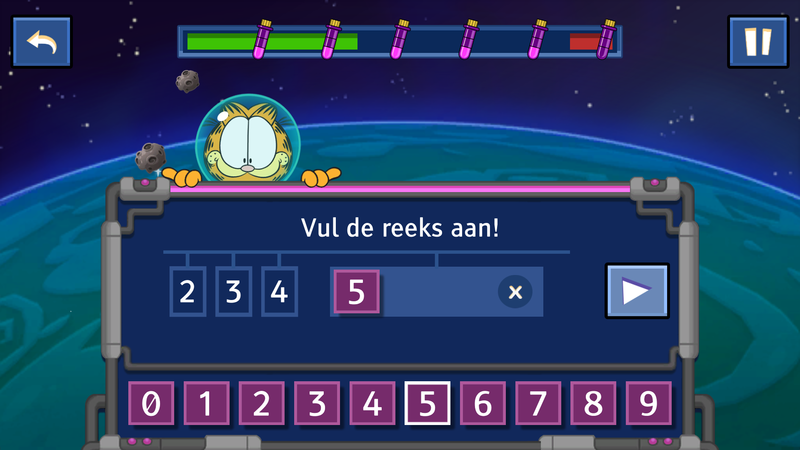 The methodology itself, was developed specifically to help children who have difficulty with mathematics. 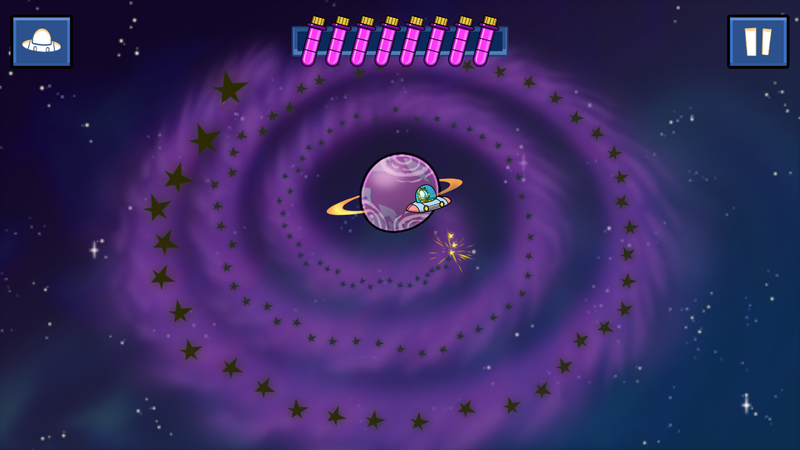 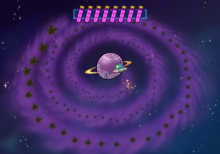 To determine whether players have mastered a certain type of exercise, the game takes both their power (e.g. 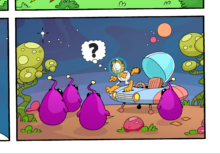 the number of correct questions) and their speed (e.g. 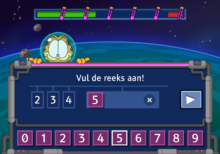 the number of correct exercises within a certain timeframe) into account. 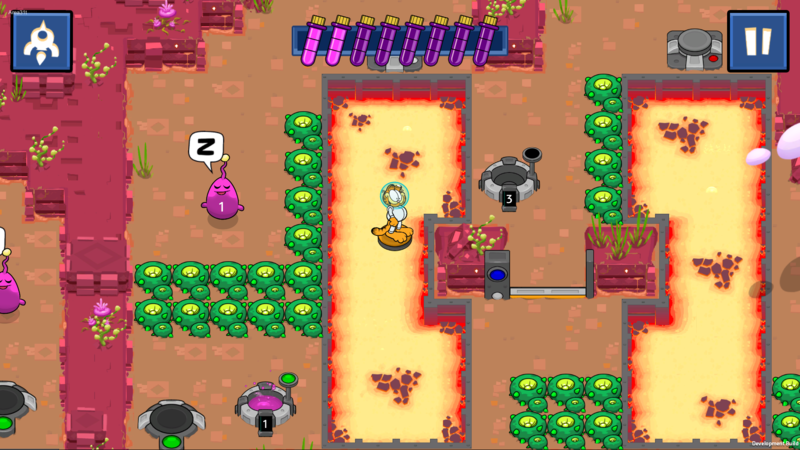 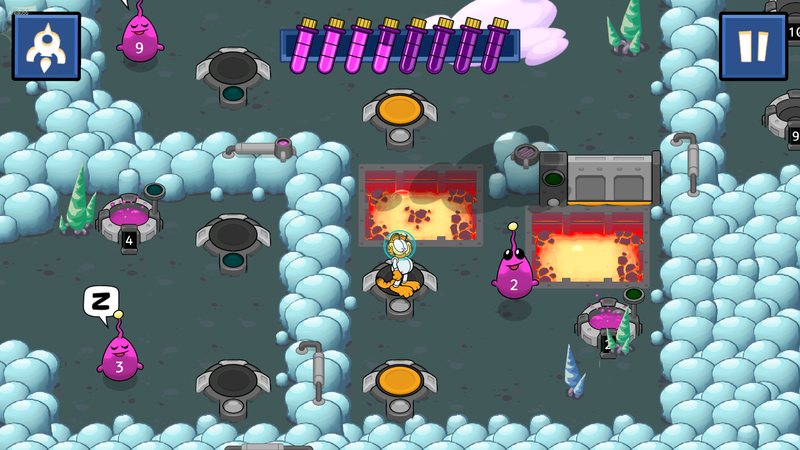 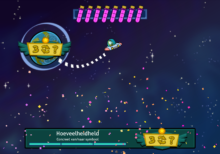 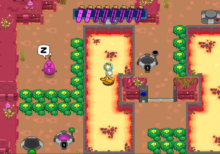 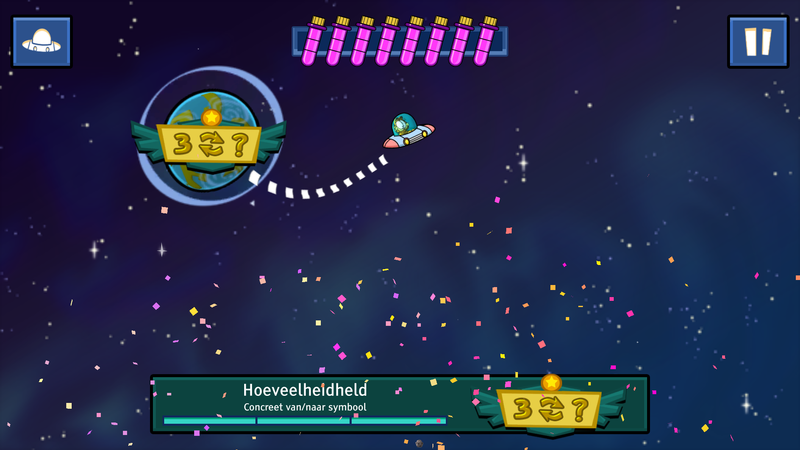 The game always provides players with positive feedback, nudging them towards the right answer in case of a mistake: this prevents players from ever getting stuck, even when they are challenged to progress beyond their current level. 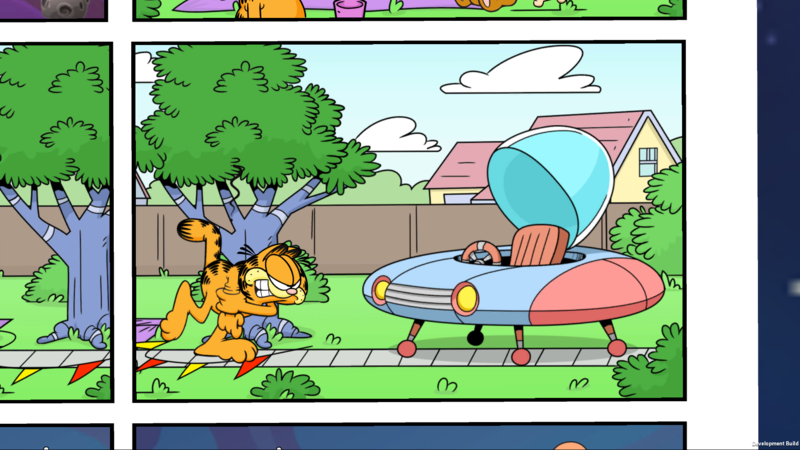 Based on the Garfield original characters. 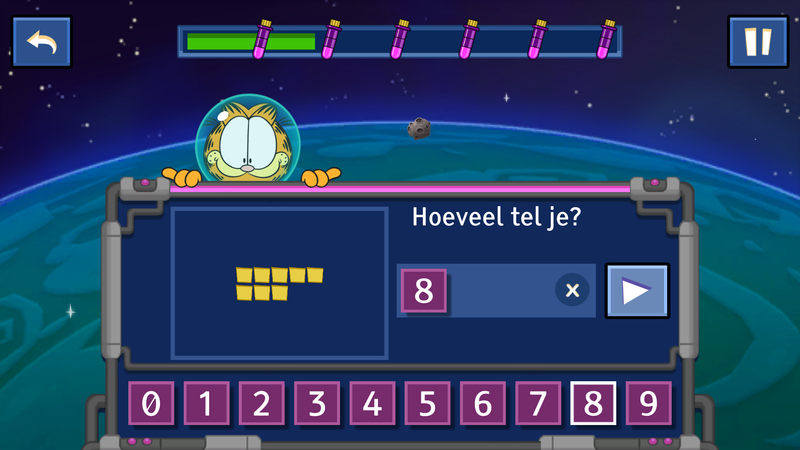 Integrated dashboard environment for teachers and parents. 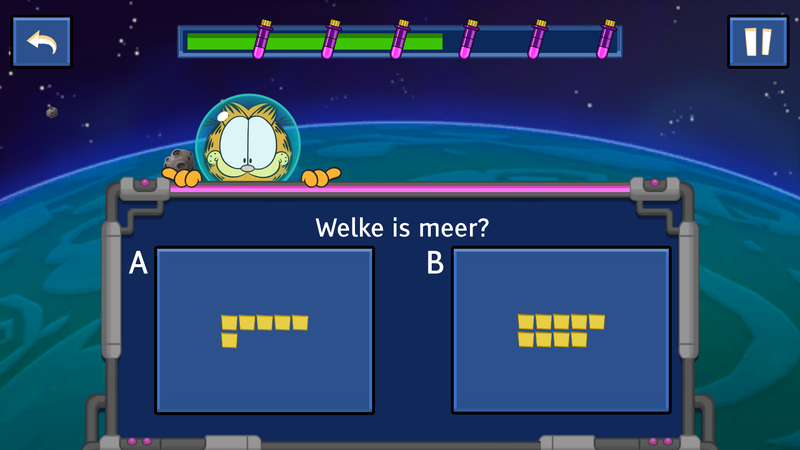 Based on a true-and-tested methodology. 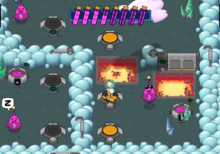 40 unique types of exercises.